FUSION regimen: ranibizumab in treatment-naïve patients with exudative age-related macular degeneration and high visual acuity. To investigate the safety and efficacy of a combined fixed-interval and pro re nata regimen of ranibizumab (FUSION regimen) for treatment of exudative age-related macular degeneration in patients with good visual acuity at baseline. To establish whether similar efficacy to monthly regimens can be achieved with fewer injections, even in patients with good visual acuity. 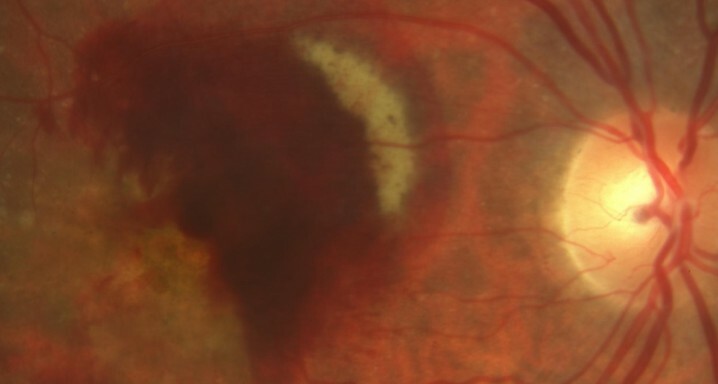 This was a prospective, open-label, consecutive interventional case series in treatment-naïve patients with exudative age-related macular degeneration. The FUSION regimen consists of three phases: 1) a loading phase of two or three injections, depending on presence or absence of choroidal neovascularization activity at first follow-up, 2) administration of one injection on disappearance of exudation, and 3) subsequent administration of two separate injections at intervals 2 months apart, and then an injection every 3 months. Endpoints included visual acuity, presence of fluid, adverse events and number of injections administered. The FUSION regimen for ranibizumab has the potential to maintain visual gains achieved during the loading phase, as reported in studies with monthly injections, even in eyes with a relatively good visual acuity at baseline. These 12-month results warrant validation in a larger, randomized controlled trial.